If you come across anything similar, lemme know and I'll post it here. Mail the image to nixxin at gmail dot com. 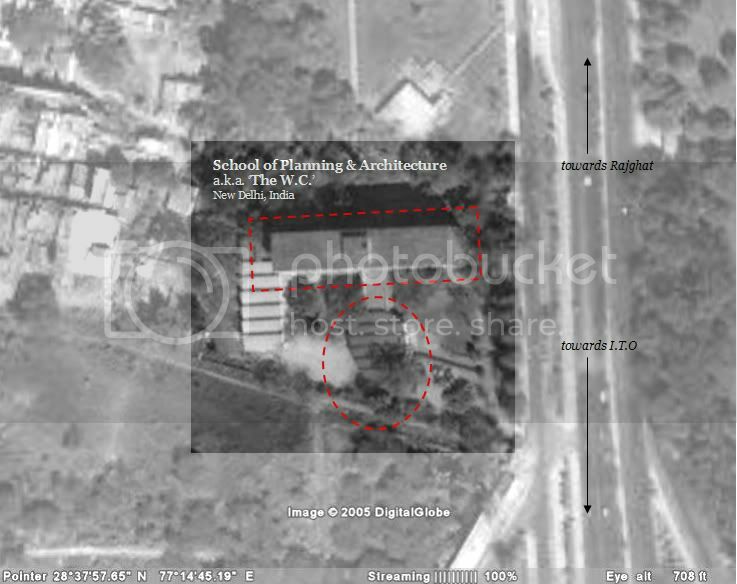 Some thought seems to have gone into the design of the JNU building. I can only hope that the SPA design wasn't as symbolic. Ouch..i studied in a WC? ouch. I was asked that question during ragging time. Had no clue. No senior told me and disillusioned me from the great SPA dream then. Subliminal processes at work? Sure hope not.